The Summit is a rectangular promotional USB drive with a classic swivel cap and a large printable area that can be imprinted via silkscreen. It’s a great opportunity to expand your brand name recognition; customers aren’t going to throw away this treasure. Your drive color options for this drive are gorgeous! Cap-less design means there is no cap to lose and your metal connector is still shielded. If your business is unique but functional, consider matching it with the Summit, a promotional USB stick that has a lot to offer your marketing program. It features a capless, swivel arm design that protects the connector port and a plastic body with an aluminum cover. The body offers print space for your company logo using a silkscreen printing technique that will make it pop. 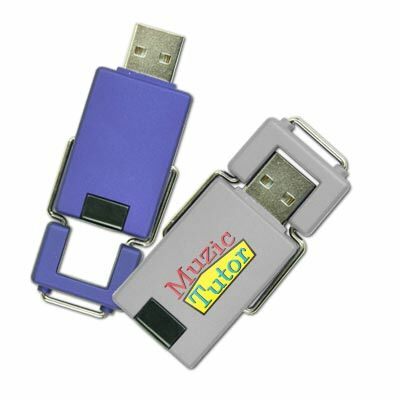 These are fantastic giveaway items at conventions and tradeshows because customers love the readily accessible data storage to hold their on-the go info. The body comes in several fun colors and can be pre-loaded with data to send home with potential clients.